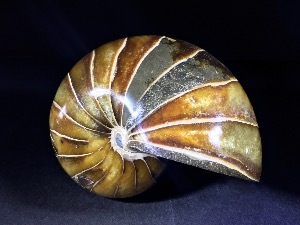 Nautiloids are primitive, marine cephalopods that possess a shell. They were most abundant in Palaeozoic Era, 400 million years ago. 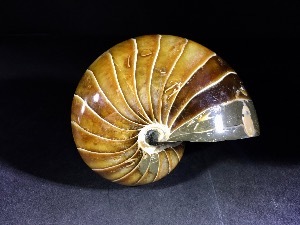 Today, only a single genus survives, the pearly nautilus of the south-west Pacific Ocean. 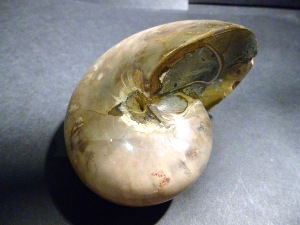 The shell is divided into a body chamber and many smaller chambers. The chambered part of the shell is known as the phragmocone. Nautiloids have heads with well developed eyes, and grasping tentacles. They swim by squirting water out of the body cavity.